The heart consists of four chambers: there are two at the top called the atria and two at the bottom known as the ventricles. The heart has its own pace maker called the sinoatrial (SA) node which is a small mass of specialized cells in the heart’s right atrium. The sinus node produces electrical pulses which make the heart beat. A distinct signal travels from the sinus node down to the ventricles passing through a specialized conducting tissue called the atrioventricular (AV) node. This process allows the heart to function properly. If the signal does not transmit properly or becomes impaired it results in a heart block. A heart block is a disease in the electrical system of the heart and as such is a disorder of the heart beat; it can cause lightheadedness, fainting and palpitations. A heart block should not be confused with coronary artery disease which occurs when the blood vessels are blocked. 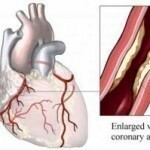 Coronary artery disease can cause angina (chest pain) or myocardial infarction (heart attack). First degree heart block – occurs when the electrical impulse moves through the AV node at a slower rate than normal. Second degree heart block – occurs when electrical signals are delayed or do not reach the ventricles. Third degree heart block – known as complete heart block where the heart’s electrical signal does not pass from the atria to the ventricles. Common symptoms of heart blockage, or a heart attack, are severe pressure in the chest, pain in the jaw, neck and arm, shortness of breath, nausea and sweating. Congenital heart defect occurs when there is a problem with the structure of the heart and is present at birth. These defects can involve the walls of the heart, the valves of the heart and the arteries and veins near the heart. Congenital heart defects can disrupt the normal flow of blood through the heart. A heart attack is defined as death of, or damage to any part of the heart muscle resulting from a severe reduction in the supply of blood or complete stoppage. A heart attack can result from coronary artery disease where one or more of the coronary arteries experience atherosclerosis (build up of plaque in the artery walls). 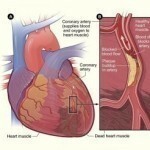 Damage to the heart from a heart attack can disturb the heart rhythm resulting in heart blockage. Myocarditis refers to an inflammation of the heart muscle. Severe cases of myocarditis may cause marked heart arrhythmias and heart failure if inflammation sufficiently damages the heart muscle or myocardium. In these cases, symptoms include breathlessness, rapid pulse, and heart arrhythmias. It is possible for the heart muscle to remain permanently damaged after myocarditis is resolved. If a heart block or marked slowing of the heart rate occurs, a pacemaker may be required. Cardiomyopathy refers to the deterioration in the function of the heart muscle which can be caused from inflammation. Cardiomyopathy can result in abnormal electrical activity in the heart as well as sudden cardiac death. The heart beat may be too fast or too slow. Certain types of surgery may also damage the heart’s electrical system and lead to heart block. People who have undergone corrective heart surgery may develop heart block. Rheumatic fever is a complicated disease that affects the joints, skin, heart, blood vessels, and brain. It is a systemic immune disease that may develop after an infection with streptococcus bacteria, such as strep throat and scarlet fever. Researchers state that “first degree heart block is a common electrocardiographic manifestation of acute rheumatic fever”.